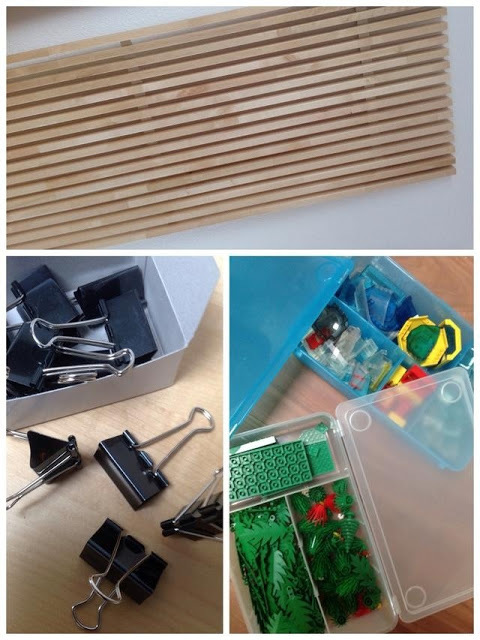 Lego - fun to play, easy to store! Date of publication: January 11 2015 . 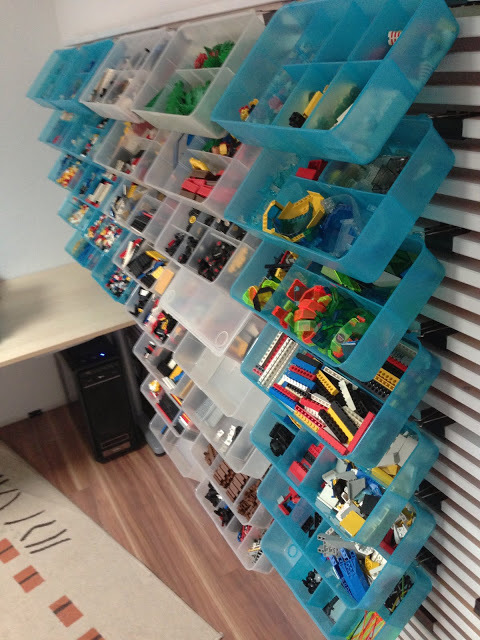 LEGO is not just a designer for a long time. Its developers managed to attract representatives of humanity of different ages into the fantasy world of fantasy. It's amazing what a set of small multi-colored bricks in a compartment with thematic figures and other details is capable of. The origins of LEGO go back to 1932 year, when Ole Kirk Christiansen founded a company for the production of wood products. His triumphal procession LEGO began in 1934 year. It was then that the combination of the letters LEGO supposedly from "leg godt" appeared - an exciting game in translation from Danish. In 1947, the company acquired a machine for mold casting from plastic. Soon, in addition to wooden and plastic toys, the light was seen by those very easily connected bricks, which eventually turned into a real empire called LEGO. In today's remake we will offer you a couple of ideas on how to not only use, but also compact to store all this huge mass of small details. 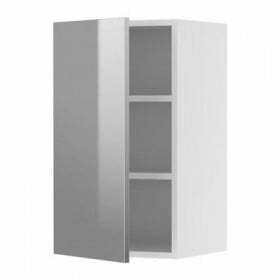 For realization of the first embodiment, and it will LEGO game tableFrom the product catalog IKEA, we need pridivanny table LAK, Roof and containers clasp. By means of fastening materials fix rails on the side of the table. Then he hung on the containers. As can be seen from the photo on a steel rod placed 4 pieces. 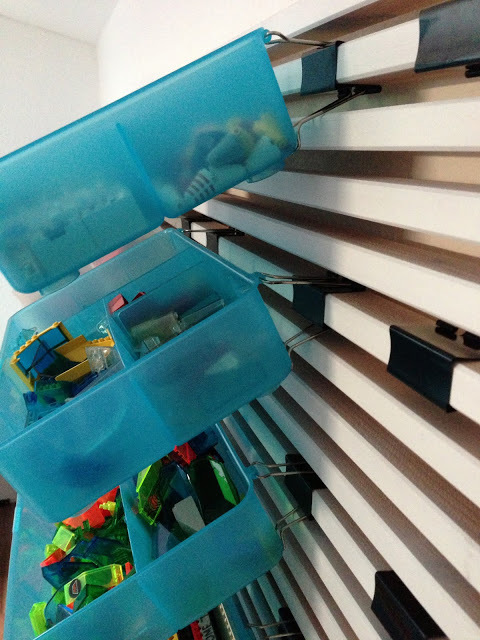 With a large number of parts designer roof rail containers can be placed on the other side of the table LACK. 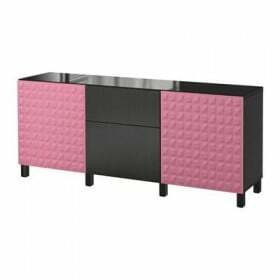 At the very laid countertop construction plate LEGOWhich will serve as a solid foundation for the many design houses. That's so easy to make game tableWho will be loyal companion on a journey into the wonderful and entertaining Lego world. What do you do if the scale of the construction passion purchased mega proportions. For you, our second option rework, which surely satisfy even the most ardent fan of LEGO. 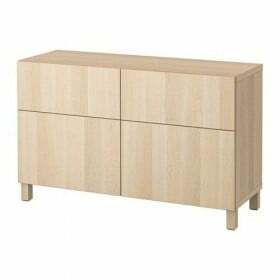 So, depending on how many parts need to host may be used one or two headboards for beds model called MENDAL. For a start it is required to attach to the wall. 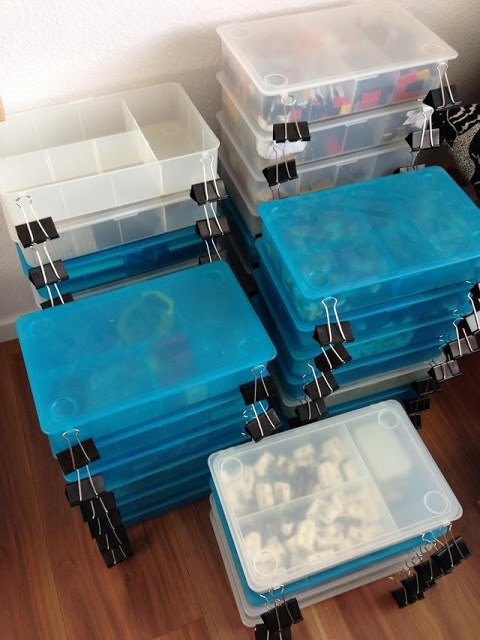 Then, using containers with lid GLIS and paper clips produce storage system for LEGO. This is done as follows. 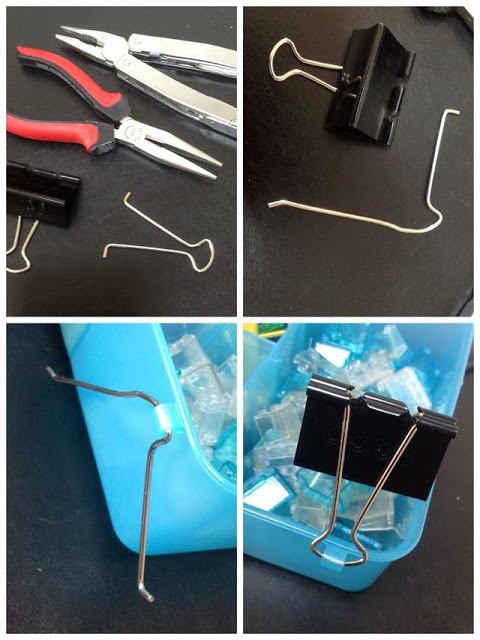 Using brackets to clamp extracted from securities ejector pins connecting the lid and the container itself. In his place, install the very bracket and insert it back into the clip. Do the same manipulations with each successive container. As a result, they all have to 2 paper clips, which will serve as fasteners to the head MENDAL. Voila! All Lego expanded in the drawers. 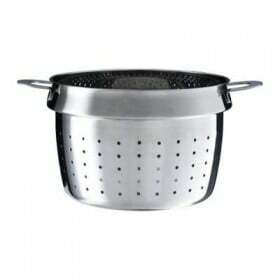 At present, the manufacturer has developed many series designer. Surely, each podyschet for themselves something suitable. Children can develop creativity, fine motor skills, and experience the world of flowers and colors; adults to help them in this and to participate in the construction process. Start. 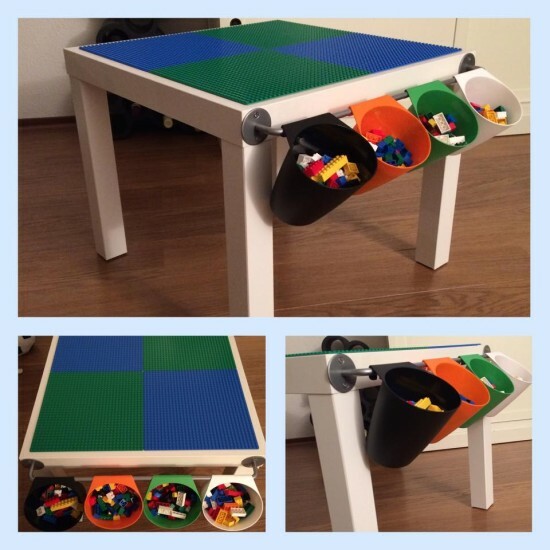 After all, today's edition of our column alterations IKEA talked about how easy it is to make a special game table and convenient system that will keep even the smallest Lego bricks.